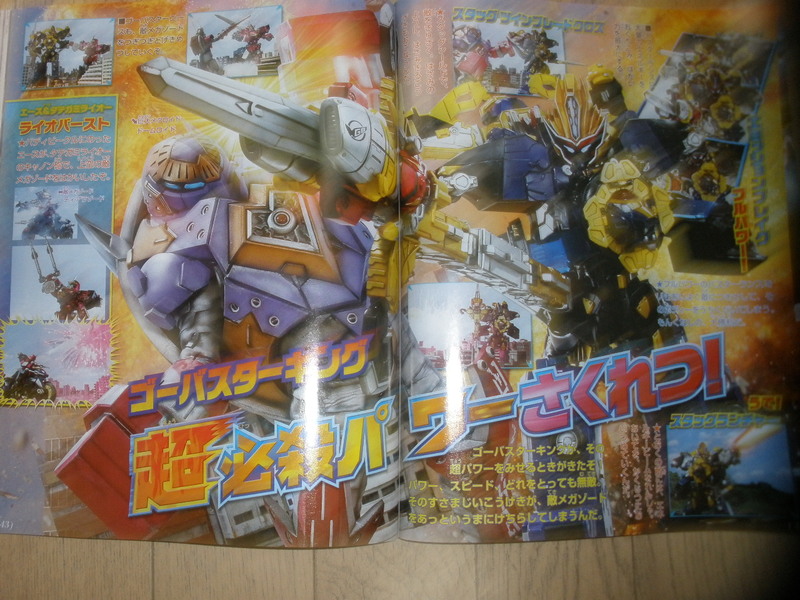 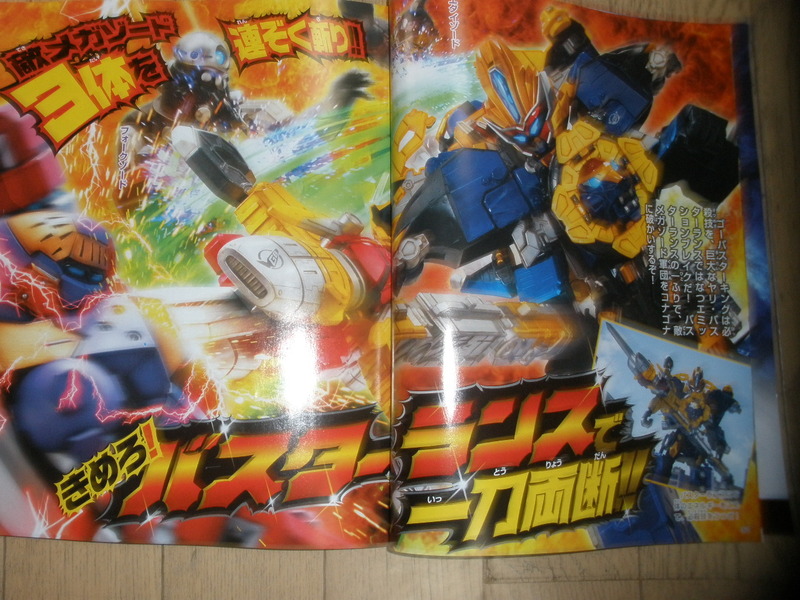 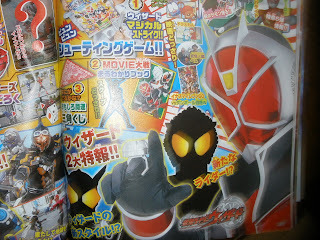 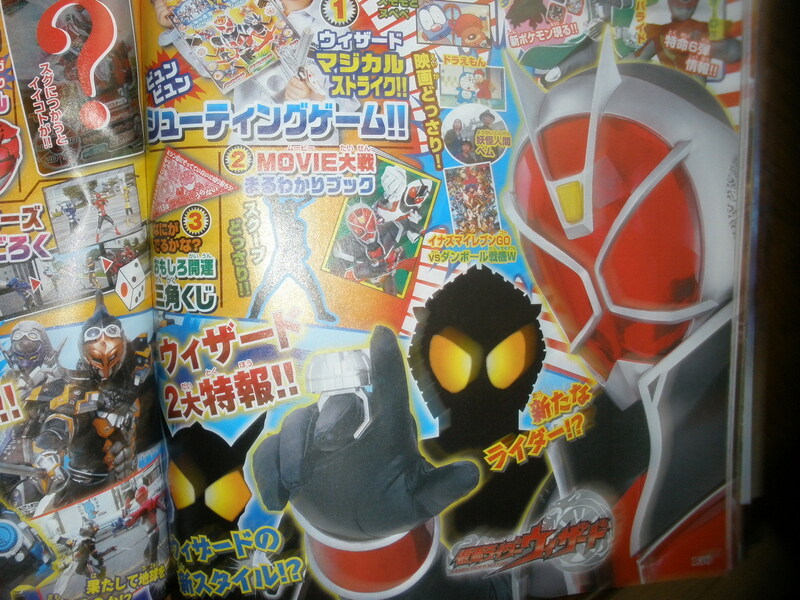 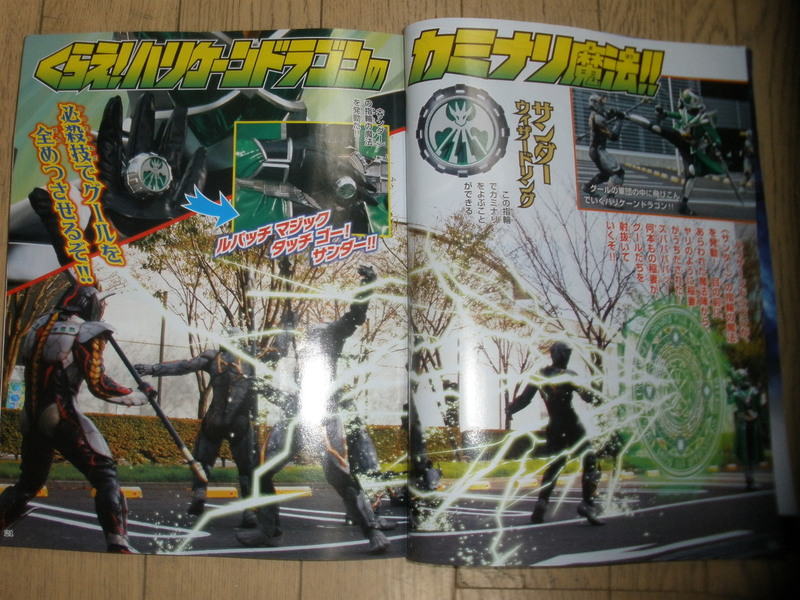 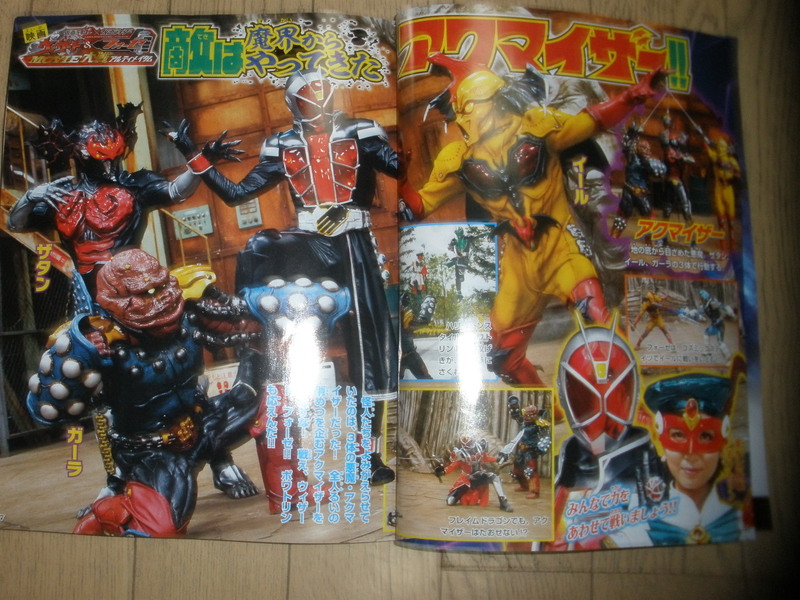 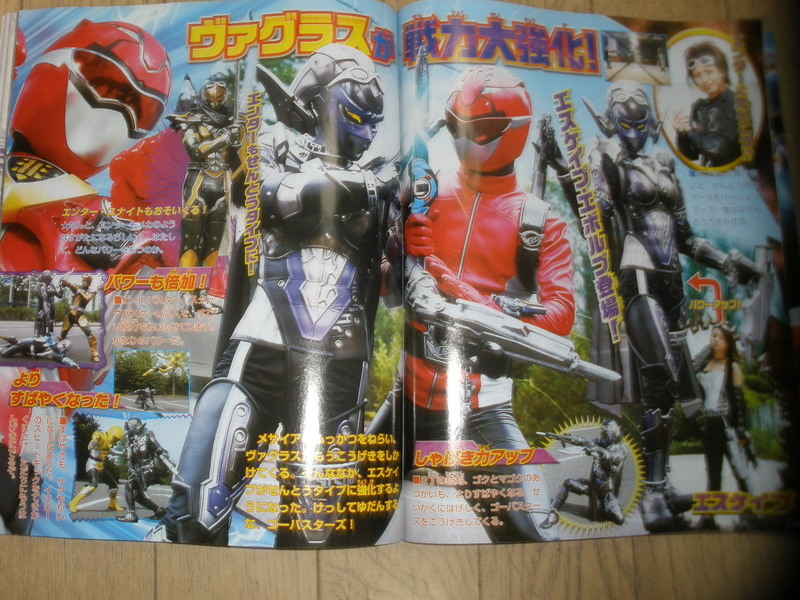 Toku Insider: New Go-Busters and Wizard Magazine Pics! 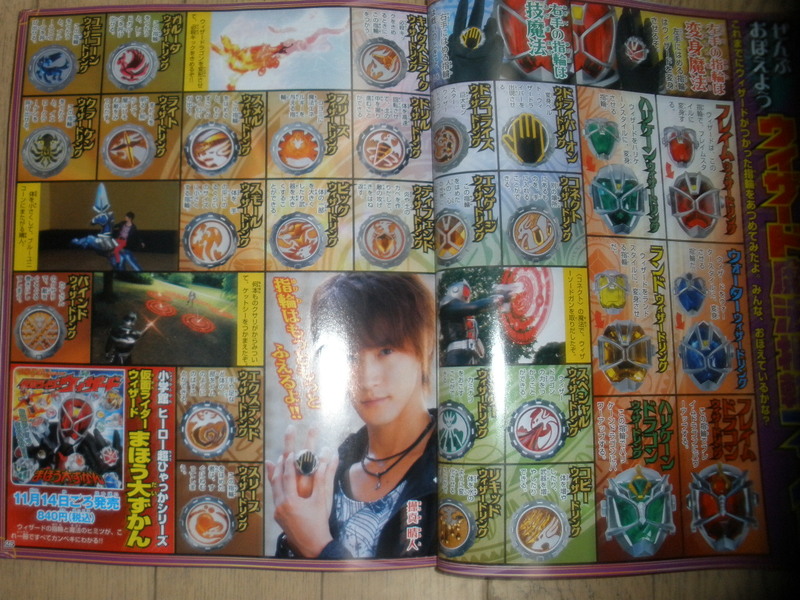 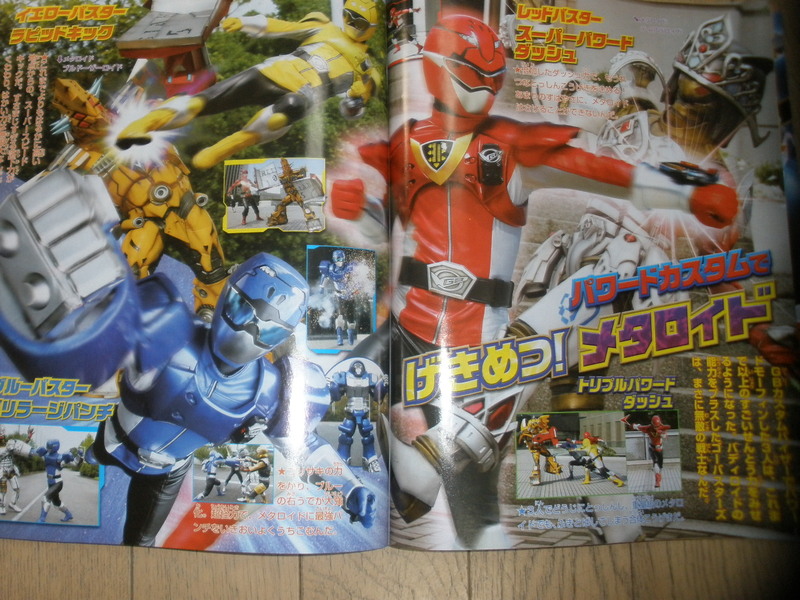 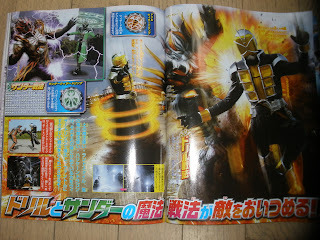 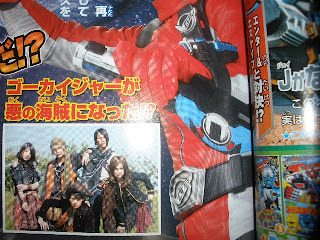 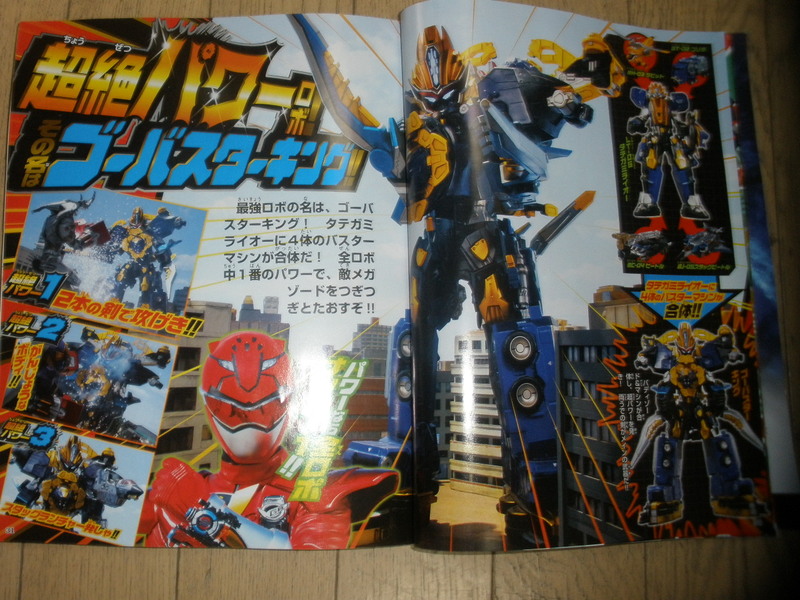 New Go-Busters and Wizard Magazine Pics! Hurricane Dragon utilizing its' special attack, the Thunder Wizard Ring. 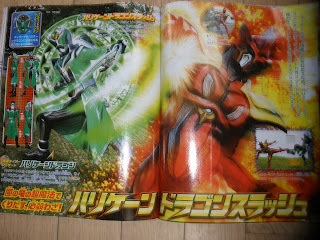 Wizard Flame Dragon combos using the Copy and Big Rings to give him double giant weaponry. Another Hurricane Dragon finishing move, Hurricane Dragon Slash. 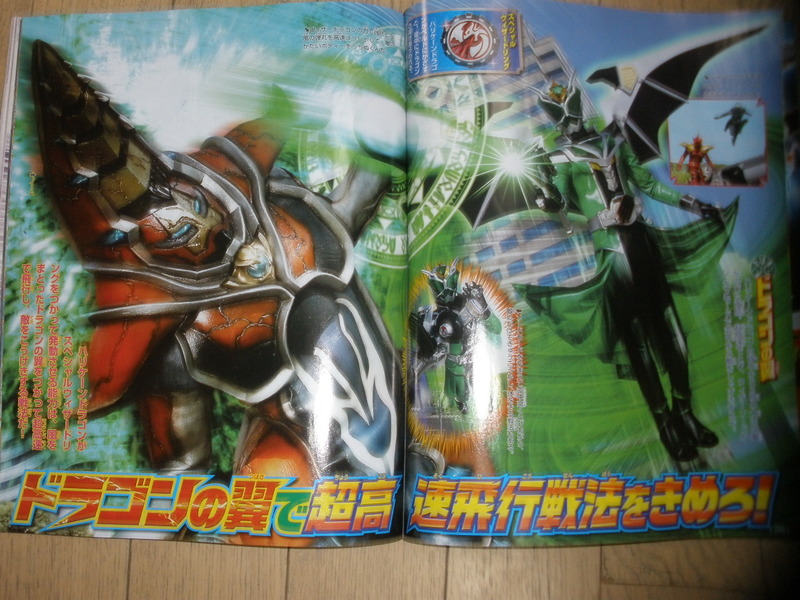 Hurricane Dragon utilizing the Special Wizard Ring + his Dragon wings. 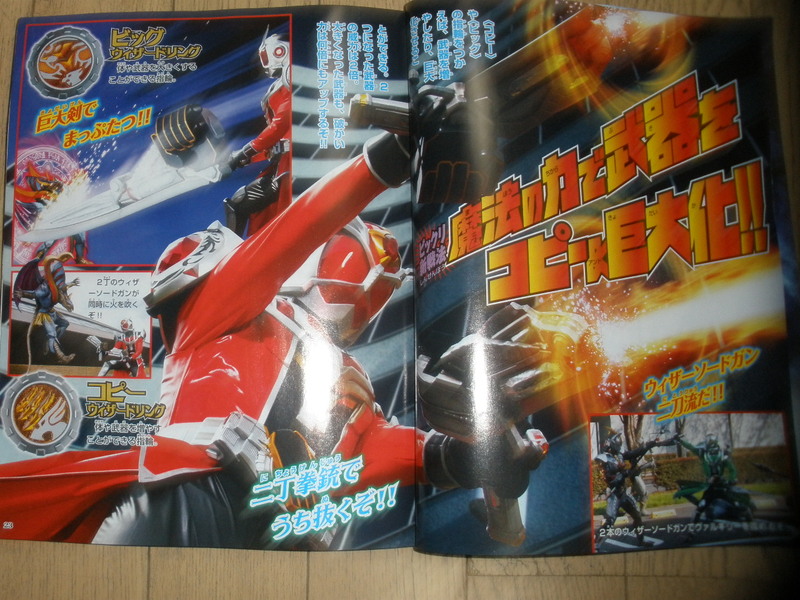 Haruto utilizing some fun spells, including Copy. 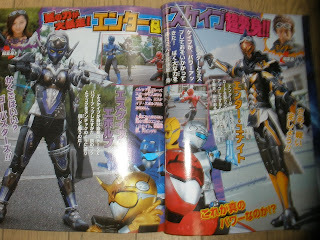 The riders gather, Poitrine and Akumaizer! 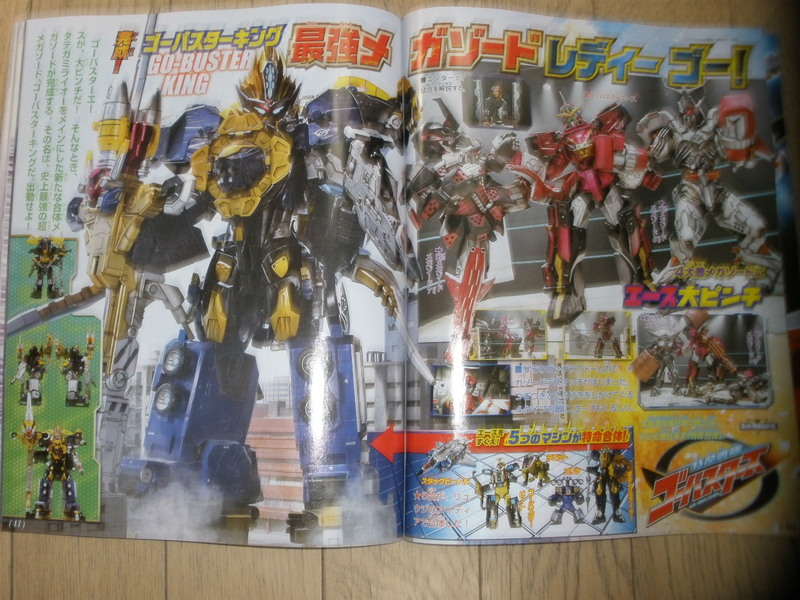 The Go-Busters' ultimate combo, Go-BusterKing! Lookout Go-Busters, Enter and Escape just went Rinjyuden on you! 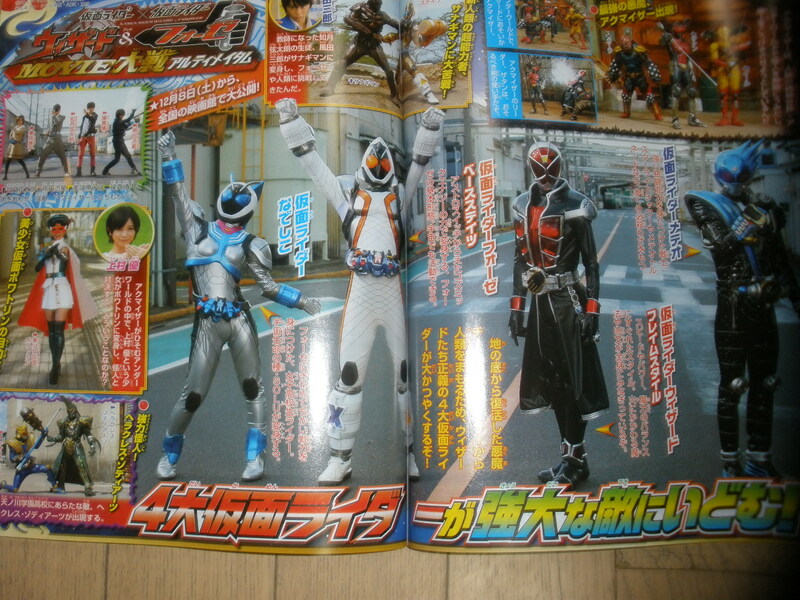 Enter and Escape evolve into Enter Unite, and Escape Evolve! Some more Go-Buster King and Ace in trouble! 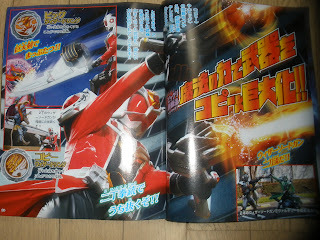 The Go-Busters showing off their Super-Powers in Powered Custom. More Escape Evolve and Enter Unite. 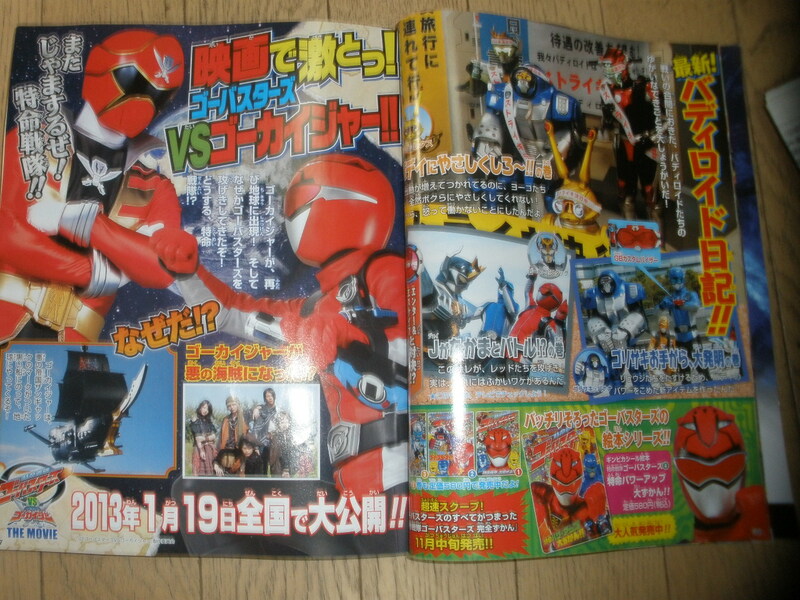 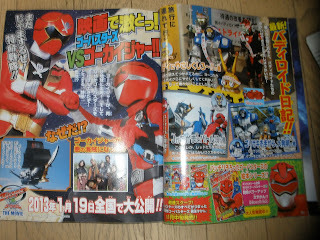 Go-Busters VS Gokaiger! 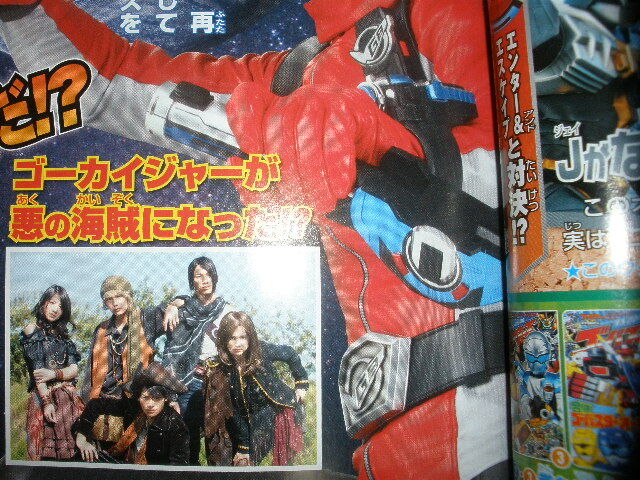 An evil Gokaiger team? 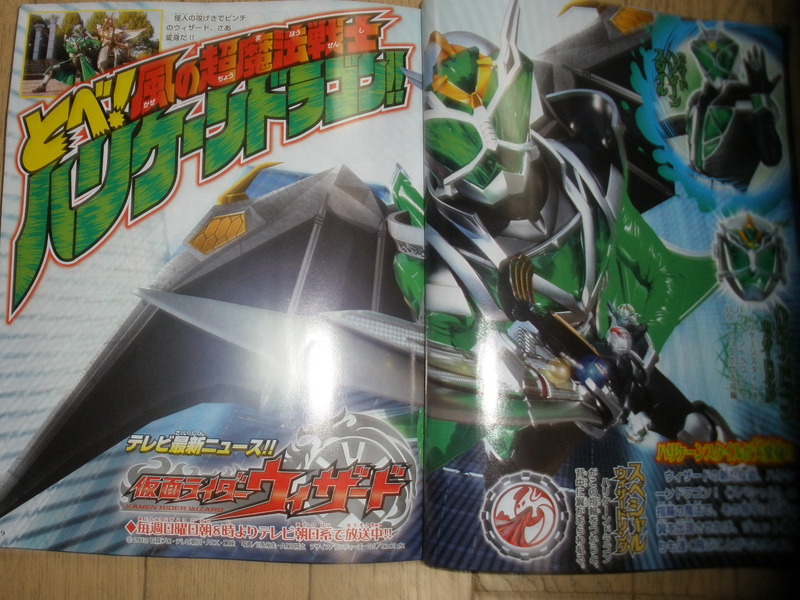 And a Black Zangyack Galleon? 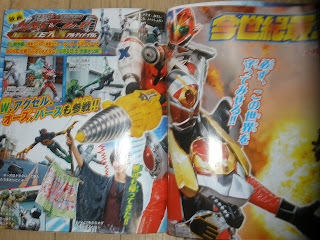 Plus, the Buddyroids on strike! A close-up on the Gokaiger in evil form. Lovin' the costumes. Where's Gai? 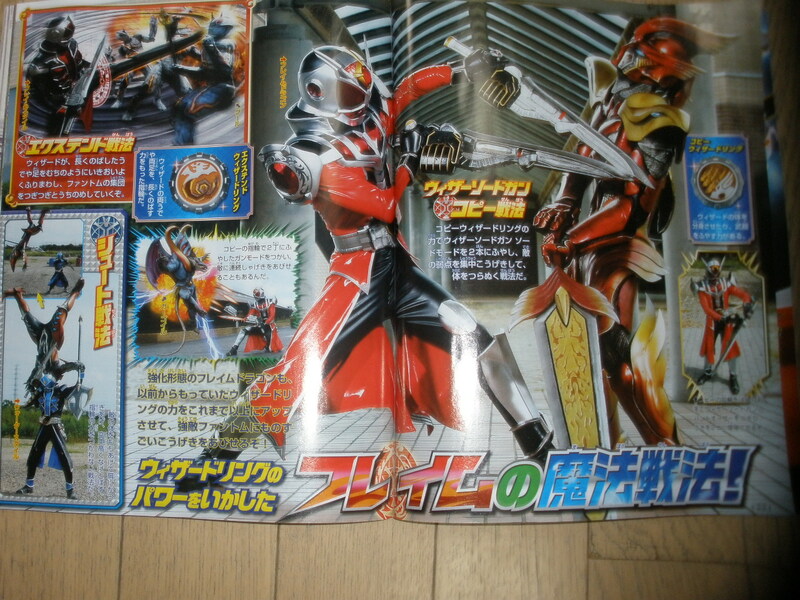 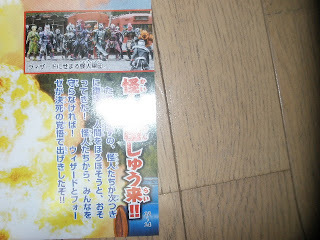 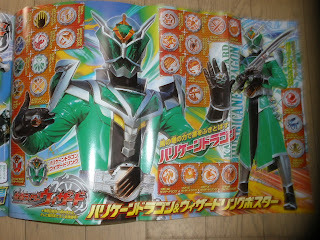 Fourze combos his switches, Wizard in Flame Style. Wizard VS an evil Akumaizer 3.